Leduc Physio - Physical Therapy and Massage Therapy ServicesPhysiotherapyPainWhat exactly is a CORTISONE Shot? Are you having pain and inflammation in a specific area of your body? Such as your ankle, elbow, hip, knee, shoulder, spine, or wrist? Even the small joints in your hands and feet might benefit. Well here is a simple method that may help you with your pain. A corticosteroid injection which is also known as a cortisone shot. The injections help relieve the pain and inflammation in a specific area of your body. The injections usually comprise a corticosteroid medication and a local anesthetic. Often, you can receive a cortisone shot at your doctor’s office. Because of potential side effects, the number of shots you can receive is limited. Your doctor might ask you to change into a gown. You’ll then be positioned so that your doctor can easily insert the needle. The area around the injection site is cleaned. Your doctor might also apply an anesthetic spray to numb the area where the needle will be inserted. In some cases, your doctor might use ultrasound or a type of X-ray called fluoroscopy to watch the needle’s progress inside your body — so as to place it in the right spot. You’ll likely feel some pressure when the needle is inserted. Let your doctor know if you have a lot of discomfort. The medication is then released into the injection site. 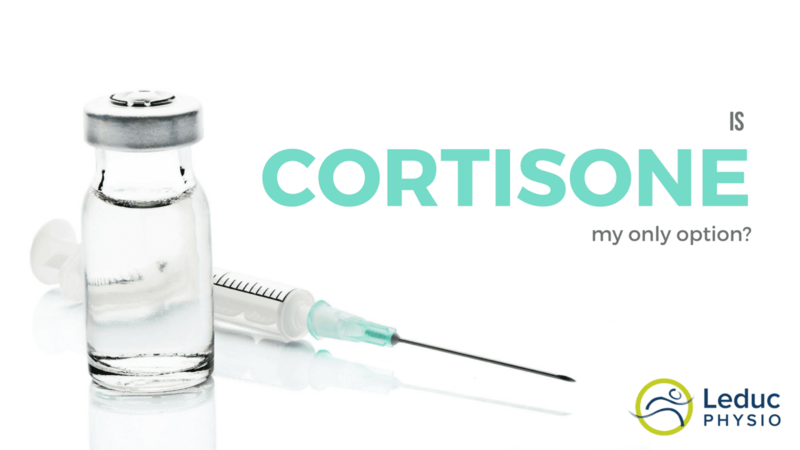 Typically, cortisone shots include a corticosteroid medication to relieve pain and inflammation over time and an anesthetic to provide immediate pain relief. Some people have redness and a feeling of warmth of the chest and face after a cortisone shot. If you have diabetes, a cortisone shot might temporarily increase your blood sugar levels. Protect the injection area for a day or two. For instance, if you received a cortisone shot in your shoulder, avoid heavy lifting. If you received a cortisone shot in your knee, stay off your feet when you can. Apply ice to the injection site as needed to relieve pain. Don’t use heating pads. Watch for signs of infection, including increasing pain, redness and swelling that last more than 48 hours. Don’t use a bathtub, hot tub or whirlpool for two days. You may shower. Results of cortisone shots typically depend on the reason for the treatment. Cortisone shots commonly cause a temporary flare in pain and inflammation for up to 48 hours after the injection. After that, your pain and inflammation of the affected joint should decrease and can last up to 3 months. Tenielle MaGee shows you how to check your shoulder for rotator cuff dysfunction, and how to quickly strengthen the rotator cuff.